The much anticipated multi-million dollar eight part series The Kennedys that was supposed to air Spring 2011 on The History Channel has been cancelled. The network says they feel that the series is not the right fit for them. The series stars Katie Holmes as Jackie Kennedy and Greg Kinnear as John F. Kennedy. 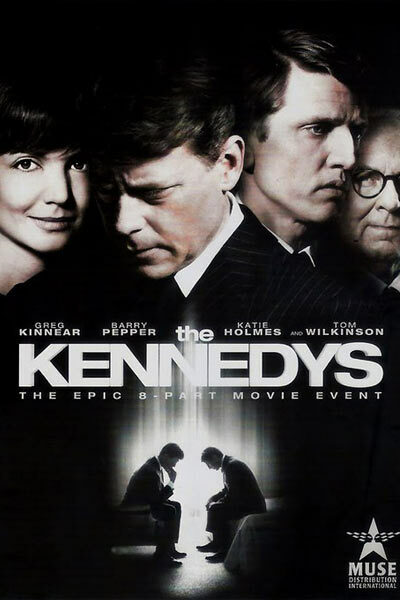 As you can see in the trailer Kinnear does an amazing job as John F.
Kennedy family supporters were critical and suspicious on how the family would be portrayed and the historical inaccuracies in the original script. They had the script revised and verified by historians for accuracy. Regardless the network stood by the project. However in the end with all the pressure the network decided to cancel the broadcast. I am really curious to see the series now. Watching the trailer below it looks like it will be very good and as I live in Canada the miniseries is still scheduled to air here on March 6, and will still be broadcast internationally. Now how does that make sense? A miniseries about an American family show everywhere except the United States. What do you think?